Canaccord Genuity Wealth Management, the UK and Europe wealth management arm of Canada’s Canaccord Genuity Group, has bolstered its national presence by taking over Worcester-based financial advisory business McCarthy Taylor. McCarthy, set up in 1998, offers bespoke financial planning and discretionary investment management services. The firm services clients across the Midlands. Canaccord Genuity Wealth Management CEO David Esfandi said: “The acquisition of McCarthy Taylor represents an opportunity to expand our Midlands presence and creates a regional financial planning centre of excellence, which will be fully supported by our broader UK team. The acquisition, whose financial terms were not disclosed, adds around £171m to Canaccord’s books. 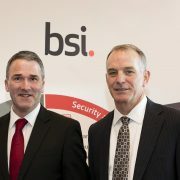 Paul Taylor will remain actively involved in the business to ensure a smooth transition. In 2017, Canaccord Genuity Wealth Management snapped up British wealth manager Hargreave Hale. 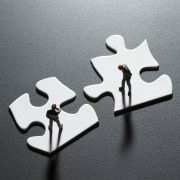 Savant Capital Management, a nationally-recognised, fee-only wealth management firm headquartered in Rockford, Illinois, and one of the nation’s largest independent registered investment advisory (RIA) firms, today announced it has acquired Chicago-based D3 Financial Counsellors, a $290 million RIA firm. Founded in 1997 by Donald Duncan, D3 Financial Counsellors is an independent, fee-only fiduciary financial planning firm based in downtown Chicago, with additional locations in Downers Grove, Illinois, and Santa Fe, New Mexico. 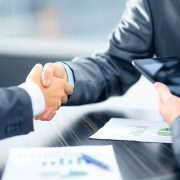 D3 Financial Counsellors offers financial planning, portfolio management, and wealth management services to individuals and families, corporate executives, medical professionals, and business owners. This acquisition further strengthens Savant’s Chicago footprint by increasing its presence to six offices located in downtown Chicago, Downers Grove, Hoffman Estates, Naperville, St. Charles and Wilmette. Savant Capital Management is a leading independent, nationally-recognised, fee-only firm serving clients for 30 years with nearly $6.3 billion in assets under management. As a trusted advisor, Savant Capital Management offers investment management, financial planning, retirement plan and family office services to financially established individuals and institutions. 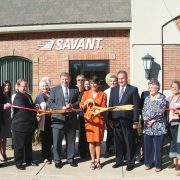 Savant also offers corporate accounting, tax preparation, payroll and consulting through its affiliate, Savant Tax & Consulting. Savant is regularly recognised among the top wealth managers in the United States. Savant was the recipient of the 2015 Best-in-Business IMPACT Award™, part of Schwab’s IMPACT Awards® program to recognise excellence in the business of independent financial advice. Savant has consistently received other industry recognitions including recently being featured on the Forbes’ top 200 financial advisors list, the Barron’s top 40 independent advisory firms list, being named the #9 rated RIA firm by Financial Planning magazine, and included in additional top advisors lists by Financial Advisor magazine and InvestmentNews. Savant Capital Management is a Registered Investment Advisor. Savant’s marketing material should not be construed by any existing or prospective client as a guarantee that they will experience a certain level of results if they engage Savant’s services and may include lists or rankings published by magazines and other sources which are generally based exclusively on information prepared and submitted by the recognised advisor. 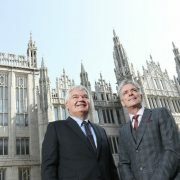 Aberdeen-based HR and employment law firm, Empire, has been acquired by Law At Work (LAW), in a deal that will combine Empire’s position in the North-East together with LAW’s strong Central Belt presence. This transaction, which follows LAW’s acquisition of Square Circle HR in 2016, will see the new firm boast close to 1,000 clients UK-wide, with a projected combined turnover of £5.5m. Empire and LAW bring fixed fee services to businesses facing legal and regulatory challenges for more than a decade. 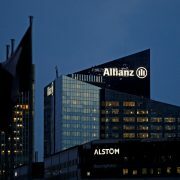 Clients of the newly combined firm will benefit from added knowledge and experience in existing sectors coupled with expertise in new areas. The new firm will have 70 staff across offices in Glasgow, Edinburgh, Aberdeen and Inverness providing nationwide coverage. The new firm has plans to grow the business in both the North East and Central Belt regions. Under the deal, Empire founder and chief executive officer Steve Cook, and current managing director PJ Chalmers, remain with the business, joining the LAW board as directors and shareholders in LAW. Magnus Swanson from LAW, Chairman of the new group, added: “It is a great opportunity for us to provide the best support for UK businesses to meet the rising challenges of legal compliance while having the certainty and transparency of fixed fees. From GDPR to tribunals and health & safety compliance, pressure on busy employers has never been greater. The debt funding for this deal was provided by HSBC. The advisors on the deal have been David Beveridge of Macdonald Henderson and Neil Grimmond of Craig Corporate on behalf of LAW and David Rennie of Stronachs and Tom Faichnie of Hall Morrice on behalf of Empire.